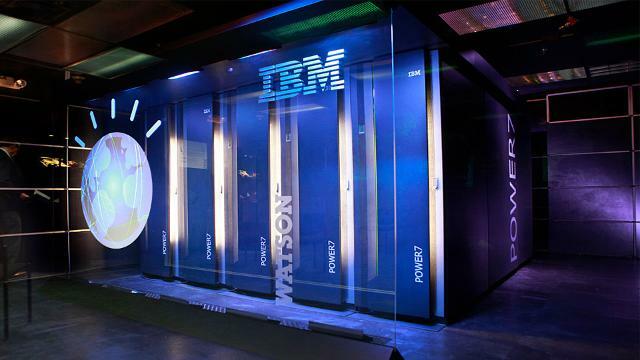 There’s a shadow over healthcare applications of artificial intelligence at the moment, thanks to the much-publicized criticism of IBM’s Watson for Oncology, said to be dropped by some partner hospitals after falling short of doctors’ expectations in spite of a hefty price tag. Other big-name projects are boosting the field’s profile, but aren’t doing much to increase the sense that it’s close to delivering. Google’s DeepMind is reportedly learning to detect eye diseases in London, and Amazon has launched a healthcare lab with hopes of creating an AI doctor’s assistant, but neither has made a noticeable impact on any healthcare systems. The bad press for AI isn’t entirely fair. But many healthcare leaders, along with the rank and file and even the general public, are growing a bit skeptical. The disappointment may run especially high among healthcare institutions outside the U.S. and other countries with highly advanced healthcare systems. That’s because AI has been hyped as a potential means for delivering top-notch care in systems where highly trained specialists, good primary-care physicians, and skilled nurses and technicians may be in critically short supply. In India, for example, the two-thirds of the population who live in rural areas have access to only a tenth of the country’s physicians. But disappointment with the healthcare-AI field may be premature. The antidote to the perceived hype-versus-results gap in healthcare AI could lie outside of the high-profile efforts. That’s because some AI-healthcare startups are gunning for less flashy solutions to more constrained — but still important — healthcare problems. Enlisting machine-learning software that can sift through vast troves of patient data allows AI systems to spot problems that harried doctors and technicians can’t. What’s more, AI programs are already capable of managing more mundane tasks in hospitals, practices and labs, freeing up clinicians and technicians for higher-level demands. That’s why in India, for example, where 19,000 lab technicians service 200,000 labs, AI technology is already poised to make a difference. One example is India-based AI firm SigTuple, which is aiming to bring efficiency to lab work, training software to run some of the most common tests in hematology, radiology and ophthalmology. In operation, a lab technician places a prepared slide into SigTuple’s digital scanner, which automatically makes a digital slide and uploads it to the cloud. Various AI models then analyze the sample and generate a report, reducing typical turnaround time for test results from a day to a few hours. SigTuple offers other potential advantages. Its scanner is portable, allowing technicians to bring it to rural patient hubs and quickly zip images and reports to hematopathologists anywhere in the world. Along with a report, the software also sends reference images of healthy and diseased cells relevant to the sample as an aid to anyone looking over the data. “If you have malaria, it will show images of the malaria parasite,” says SigTuple co-founder and CEO Rohit Pandey. What’s more, SigTuple’s software models different tests as variations on a single testing process, which allows it to apply improvements made to any one test flow to other tests. And because all tests are overseen by a central software system, improvements can be quickly rolled out to all the relevant tests at once, rather than having to individually improve separate test systems. SigTuple has attracted US$6.54 million in investment since October 2015 — the largest investment in an India-based healthcare AI startup — and 28 medical centers and 19 lab chains are providing data to train and validate the system’s models. The company is about to launch its flagship product, which automates blood-count tests, the second-most-common healthcare test in the world. According to Dr. Preethi Sridharan, head of hematology at Bangalore-based Anand Labs, one of the labs working with SigTuple, the system has been performing as well as or better than conventional systems that typically cost about US$150,000 — several times the cost of SigTuple’s system, and more than about 80 percent of India labs can afford. “We have to find affordable options if we’re going to provide good healthcare to the masses,” says Sridharan. Anand’s pathologists handle up to 1,000 slides per day, she notes, and by cutting down on the time they spend on average per slide, SigTuple’s system is freeing them up to spend more time on the most difficult cases. Some of the AI startups likely to impact healthcare in less-advanced regions are not necessarily based there, and in fact most of them may be in the U.S. Consider Chicago-based AI startup Novatio Solutions, founded by physician Gokul Solai. Solai sees Watson as a technology in search of a problem, because it doesn’t actually save anyone any time or create any efficiencies, at least not yet. “It’s like telling Siri to change the track on your radio when you could just lean over and do it yourself,” he says. Novatio aims directly at the efficiency challenge by providing software-based “automated workers” to gather and organize practice data. The goal is to reduce the redundant tasks that can tie up physicians and nurses, such as reviewing charts, compiling notes, calling in prescriptions and explaining medications. Instead, says Solai, care providers can spend the saved time seeing patients and making clinical decisions. “We’re letting doctors make use of what they went to medical school for,” he says. Unlike human assistants, AI programs can work around the clock, and don’t make careless errors — not to mention the fact that they don’t require salaries and benefits. After factoring in the costs to acquire and operate the software, Novatio’s automated workers save 90 percent of the costs of hiring another assistant, claims Solai. Ayasdi in Palo Alto, California, another AI firm, is targeting care-pathway improvements as a way of reducing care costs and improving outcomes. The company’s system has been analyzing clinical-care pathways for Mercy Hospital, a highly regarded U.S. institution with more than 700 physicians. Small tweaks to a pathway can make big differences in patient outcomes, but gathering and correlating all treatment steps and results is a daunting task. Ayasdi’s software, on the other hand, discovered that applying the drug Betapam immediately before and after total knee replacement surgery — a non-standard step that two of Mercy’s physicians had been trying out — led to earlier ambulation and release, along with annual cost savings of US$1 million. Ayasdi Executive Chairman Gurjeet Singh says that if the insight holds up across related care pathways at Mercy, the annual savings to the institution could amount to US$50 million. Ayasdi also turned up a pathway improvement at Intermountain Medical Center in Salt Lake City, adds Singh, just by sifting through EMR and billing data. “One small connection made by the software can lead to entirely different treatment protocols, with huge potential results,” he claims. To be sure, plenty of challenges remain when it comes to rolling out AI systems widely enough to make a significant impact in healthcare, especially in regions like India that struggle to provide good care to the entire population. Anand Labs’ Preethi notes that 85 percent of India’s labs are mom-and-pop operations that can’t afford any sort of technology. And the public healthcare system is too cash-strapped to allow much investment in technology. Although 70 percent of the population in India prefers private healthcare, millions only have access to public institutions, which are more reluctant to adopt cutting edge technology. More broadly, many physicians and patients remain skeptical about trusting decisions from a computer. Indeed, AI systems can be tripped up more easily than humans by variations and biases in population data, so that models trained in one hospital may not be applicable in another, especially if it’s in a different geographical region or sees a different segment of the population. And good data is hardest to collect in places that need it most, including countries lacking developed healthcare infrastructure. “Its a problem waiting to blow up in people’s faces,” says Ayasdi’s Singh. “You might end up with a model that is almost criminally wrong.” Critical data remains especially scarce in developing countries where electronic health records are not yet in wide usage. Artificial Intelligence, Hospitals and Providers, India, specialty care, spotlight featured, staff, Startups, U.S.